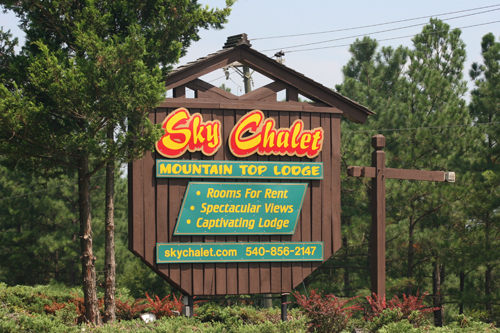 Sorry, but as of Oct 1, 2011 (after 74 + years), Sky Chalet is no longer operating as an Inn, so reservations cannot be accepted. Thank you. Spectacular Mountain Views in the Shenandoah Valley of Virginia! Come enjoy the Edinburg Ole Time Festival - Sept 16 - 18 ! Getaway to Sky Chalet ! Reserve now for the colorful Autumn Season ! 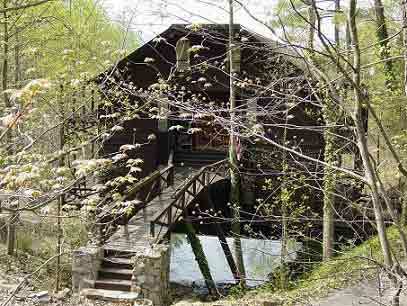 Ask about our new overnight rental chalet - "The House Over the Pond" - Yes, it IS a house built over a pond! People are racing to get here ! "Insiders Guide to the Shenandoah Valley of Virginia"
Views - Sky Chalet Mountain Top Lodge is a romantic bed and breakfast cabin inn lodge with an elevation of 1700' with spectacular, panoramic mountain and valley views where one can see the mountains clear to the West Virginia border to the west and the mountain ranges of the Massanutten and Blue Ridge Mountains to the northeast. The Lodge is in a wooded setting overlooking the treetops with views that leave visitors in awe and in their memory for their lifetime. Comfort - The lodge has recently been enlarged and renovated for added comfort and convenience, while maintaining a rustic theme in a rustic setting. The lodge offers queen size beds, decks, kitchens, fireplaces, and a jacuzzi for two and always the breathtaking views. Individual room controlled heating and air conditioning was recently added. Guests delight in the honeymoon suite for celebrations such as honeymoons, anniversaries, birthdays, or times when their hectic lives beg for a little extra pampering. Families and children enjoy being together, and family reunions offer lots of memories. Business travelers appreciate the quiet and views before they head out to their next appointment. Pets - When your pet is part of your family and you want to bring them along, the lodge is pet friendly to cats and most dogs. Innkeepers have one resident dog, Ginger (picture shown). Also, in addition to previous pets, also shown is R.J. , our beloved cat that passed away recently at the age of 22. 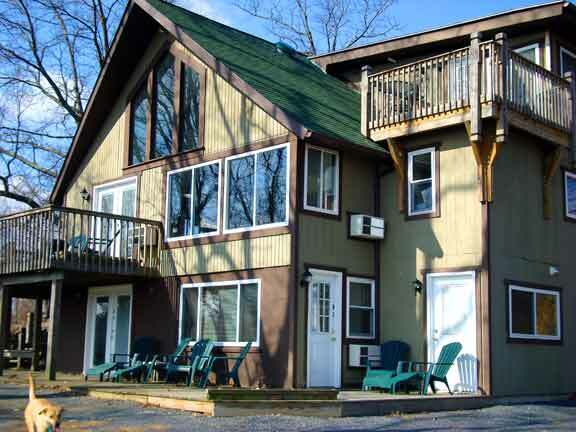 Pets enjoy the woods, open fields, hiking trails and lake in the area. They also receive a "treat" in the breakfast basket each morning. Breakfast - Guests enjoy a delivered continental breakfast while their pets enjoy a delivered treat. Take pleasure in a tranquil breakfast in your room, by the fireplace or perhaps on your deck overlooking the views. Fun - Hikers and their pets enjoy the nature hiking trails in the area. There are several vineyards, caverns, military and civil war musuems, and antique shops in the area. Also, there are nearby activities at Bryce Resort such as tubing, snow skiing, grass skiing, swimming, golfing, miniature golf, tennis, fishing, and lake activities. We can direct you on a scenic drive to great horseback riding in the area. The Shenandoah Valley Music Festival brings music lovers pop, classical, symphony, jazz and big band sounds. Some guests just enjoy reading, relaxing, and enjoying the fireplaces, jacuzzi and views. History buffs find the Civil War sites and old iron furnaces fasinating. 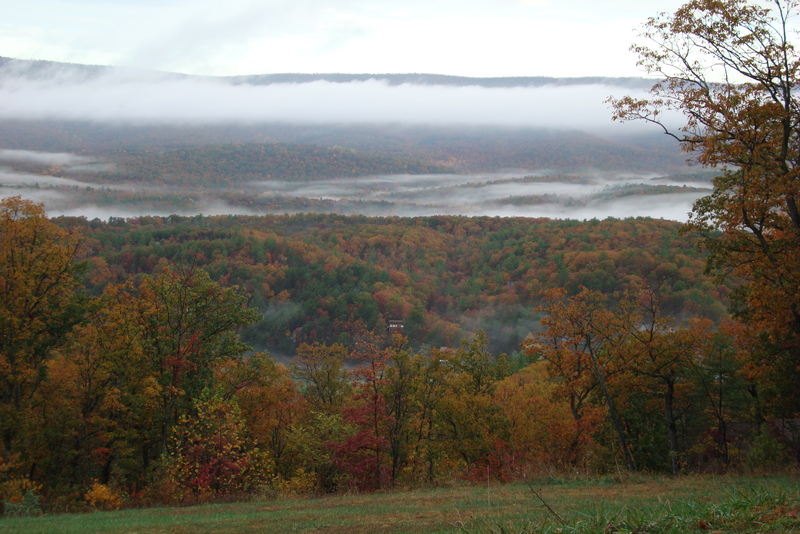 Enjoy seeing old historical Orkney Springs and the beauty of the Shenandoah Valley. Local restaurants and pubs offer the tastebuds a taste of the valley. Location - Sky Chalet Mountain Top Lodge, a bed and breakfast hotel, is located 12 miles west of Mt. Jackson, Virginia off of I-81. Only less than 2 hours from the D.C. area and 3 hours from Richmond, VA. 1 hour from Winchester, VA and 45 minutes from Harrisonburg, VA. We are located conveniently next to Bryce Resort. website by " mona lesa web creations"